Safestyle Double Glazing - Expert Independent Review - Which? We've surveyed Safestyle's double glazing customers to find out how its products and services compare to other double glazing companies Anglian and Everest, as well as independents. We've surveyed more than 2,000 double glazing customers to find out whether big brands Safestyle, Everest and Anglian are worth spending your money on, especially when pitted against independents. Our results reveal that the difference between some of the companies is vast - the top-rated firm scored 84%, and the bottom just 54%. It also shows ratings for different aspects, such as customer service and value for money. Which? members can log in now to unlock the table below and reveal all Safestyle's ratings, as well as customer comments on the brand. The unlocked table below shows a full breakdown of how Safestyle was rated for a number of different factors throughout the sales and installation process, such as knowledge of the salesperson and installers keeping to arranged timings. If you're not a member, joining Which? will give you access to this page, all our double glazing reviews, and our guide to double glazing prices, so you don't pay more than you should. To see all the comparative scores with the other brands and independents, go to best double glazing companies. Our customer score for each company allows you to easily compare each brand. But our ratings allow you to get more insight into the companies' customers experiences on a variety of different aspects. These additional ratings help you to see which aspects the companies are clearly struggling on, and where they stand out from the crowd. As well as customer scores and ratings, we have also collated a number of comments from Safestyle customers. This means you can get a true idea of what people are saying about the company. Logging in or joining Which? will reveal what customers really think of Safestyle. 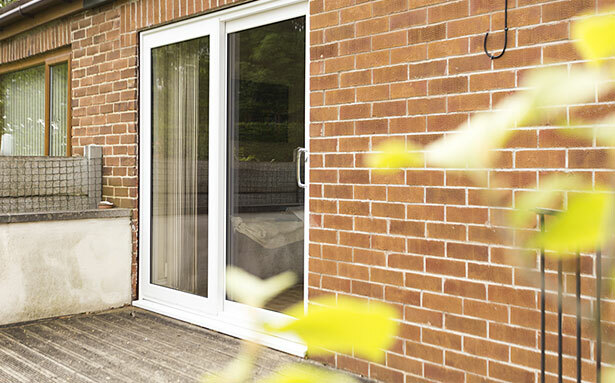 double glazing prices - where you'll see the average prices for different types of doors and windows. You can use our pricing research to make sure you don't get overcharged for your double glazing. Flick through the images below to see some examples of the types of double glazed windows and doors Safestyle provides, and read on below to learn more about its services. Areas in the UK covered: England and Wales (not Scotland or Northern Ireland). Types of windows: casement, sash and bay windows, all of which can be tilt and turn. 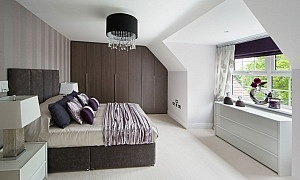 All its frames are uPVC, but are available in a range of finishes - white, cream, grey, black, oak and rosewood. With the casement and sash windows, you can choose from a number of different configurations for the placement of the glass and frames. Decorative glass can also be used in any of the types. 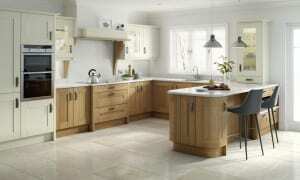 Types of doors: bi-fold, French and patio doors. Like its windows, its doors come in the same range of finishes. It also composite sells front and back doors, most of which include an element of glass, often decorative. It also has some stable doors, where you can open one half and keep the other closed. Find out more about the different types of double glazed doors and windows in our guide to choosing double glazing. Window energy ratings: all its windows are A-rated and its Legacy sliding sash and Eco Diamond windows are endorsed by the Energy Saving Trust. Triple and secondary glazing: it doesn't offer triple or secondary glazing, but it says its Eco Diamond windows and doors exceed security, heat retention and weather performance standards. Conservatories: it sells a range of conservatories and orangeries - such as P-shape, Georgian and Gable - which use its Eco Diamond glass. 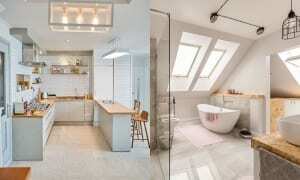 It also does glazed extensions, which have a higher proportion of walls and solid roof to traditional conservatories. 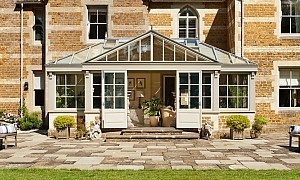 Visit our guide to conservatories and orangeries for all you need to know about buying one. Window and door guarantees: 10-year guarantee for replacement and repair of all faulty windows and doors. This can be transferred to new owners with no charge. Other services offered: it doesn't offer any other additional services. Competent Persons Scheme: accredited by Fenestration Self-Assessment Scheme and Glass and Glazing Federation, which means Safestyle installers can self-certify that the double glazing is compliant with building regulations. This saves you from having to contact building control yourself. If you're ready to buy, visit our double glazing prices guide for saving tips and average prices to make sure you don't get overcharged for your double glazing.